A new survey explains how stress affects generations differently. 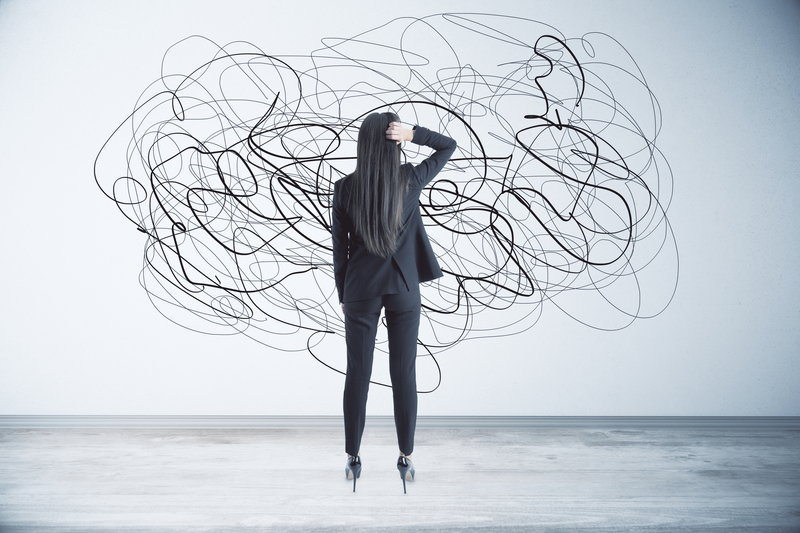 The interplay of several factors determines our stress levels at work, including the demands of our job, our workplace culture, what’s going on in our lives outside of work, and whether or not we have the tools to help manage our stress. Now, a new survey from LinkedIn Learning found that our generation can also play a role in how stressed we are at work. Though all three predominant generations found in the workplace — millennials, Generation X, and baby boomers — experience high levels of stress, Gen Xers come out on top. In the survey, approximately 54 percent of Gen Xers indicated that they were stressed at work, followed by baby boomers (48 percent), then millennials (46 percent). Given how much has been written about millennials and stress — from their relationship with social media, difficulty finding jobs in their fields, and struggle to be able to afford to buy a house — it’s surprising to see them at the bottom of the list. But according to the survey — which gathered responses from 2,843 English-speaking professionals on LinkedIn — that has something to do with their relationship and familiarity with technology. Gen Xers, the survey found, are more stressed about the future of their job as compared to the other generations. According to a blog post by LinkedIn accompanying the survey results, this could stem from the increasing usage of artificial intelligence in the workplace, and how quickly it is changing a variety of industries. Data from the survey shows that members of Generation X are less likely to have AI skills than millennials, while still being at least 20 years away from retirement, unlike baby boomers. For millennials, stress tends to come from a need to discover their sense of purpose, as well as their opportunities to learn and grow, compared to previous generations. The survey also looked into the aspect of seniority on stress levels. And although there’s not necessarily a direct correlation between age and higher rank at a job, it does make sense that the people at the top of the company come with more experience. That also comes with more stress: The survey found that those at the executive level of a company are the most stressed by their workload (61 percent), followed by middle management (56 percent), then individual contributor (48 percent). Because a heavy workload is a major cause of stress for so many people, a good first step would be to learn how to say no — both in and out of work. There’s no such thing as work-life balance, so it’s up to us to determine which activities belong in our life, and prioritize accordingly. According to LinkedIn Learning Instructor Dave Crenshaw, by taking on less, you’ll be able to more effectively execute your most important work, resulting in decreased levels of stress. A great way to get into this habit is to use one of our Thrive Microsteps (small, science-backed incremental changes that can make a big difference): writing down your priorities for the day each morning. Deciding what’s important and what’s not is key to reducing stress and improving productivity. Regardless of a person’s experience or generation, chances are they’re still figuring things out, or at the very least, reflecting on their purpose. The LinkedIn survey found that finding your purpose — especially for younger people — is a huge cause of stress. The key to growing as a person and in your career is to make a series of minor adjustments along the way. In order to do that, continually ask yourself what you like and don’t like about your current job, LinkedIn Learning Instructors Elizabeth Lotardo and Lisa Earle McLeod suggest. As you answer the questions, be as specific as possible to help you get to know yourself and, in the process, bring you closer to understanding your purpose. Workplace politics also turned up on the LinkedIn survey as a source of stress, but fortunately, they don’t have to be. Going into a job understanding that to a certain extent, politics are always a reality, can be helpful as you get adjusted to a new role. Not only that, but “playing politics” doesn’t necessarily have to be a bad thing. According to LinkedIn Learning instructor Dorie Clark, the people who navigate work politics the most effectively “make smart and strategic moves in order to gain influence authentically,” as opposed to working deceptively.